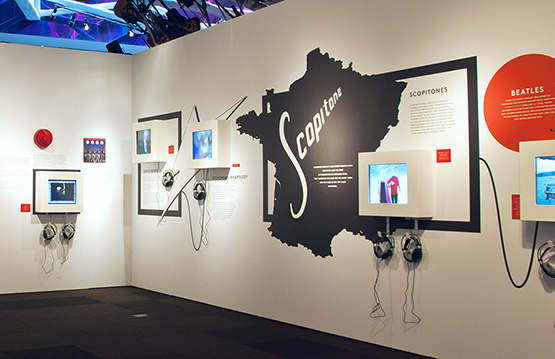 EMP partnered with Imagine to create a series of graphic elements for the Spectacle Exhibit. 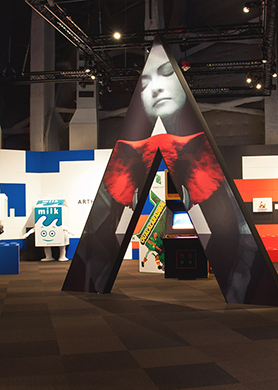 This exhibit featured printed and installed oversized wallpaper and adhesive vinyl murals and intricate cut vinyl elements. 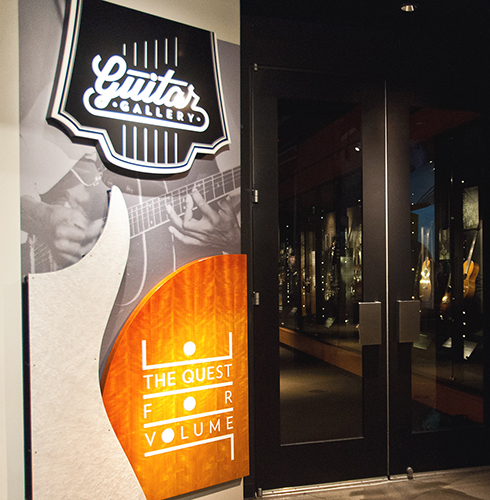 In an effort to update the Guitar Gallery, EMP tasked Imagine to print, fabricate and install a set of “layered” dimensional graphics. 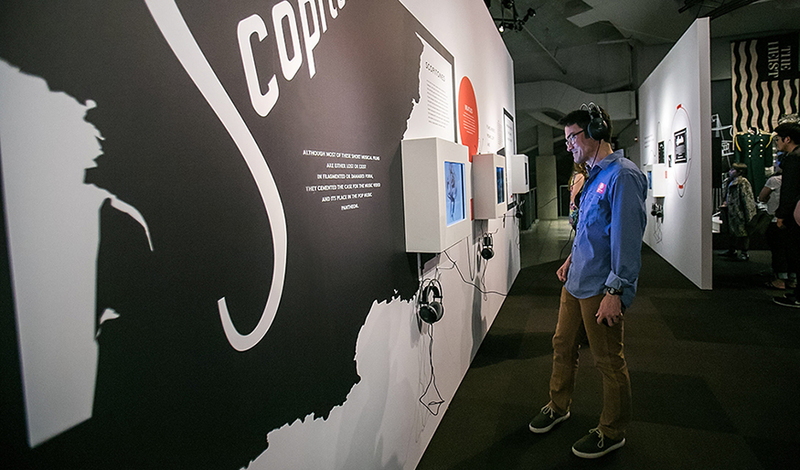 Each element utilized a wallpaper base layer with printed and router cut stylized guitar parts i.e. 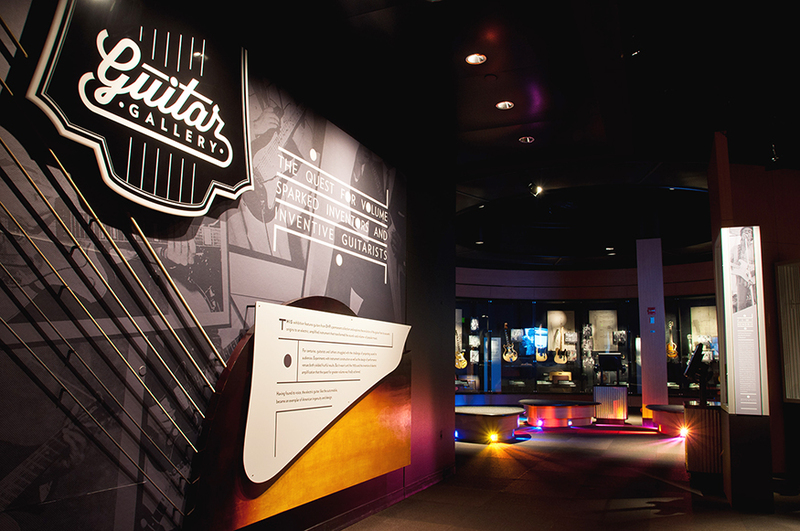 pick guards, headstocks etc.